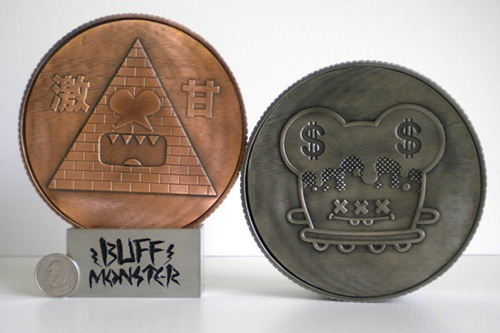 If one day the world succumbs to the power of pink, we might actually have coins similar to the design of Buff Monster’s metal bank from Fully Visual. The ‘coin’ design measures 6” x 5” x 2” with a removable base and will be available in both a Nickel edition (ed. 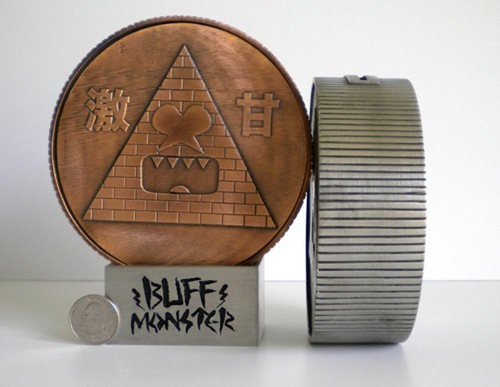 of 35, $135) and Copper edition (ed. 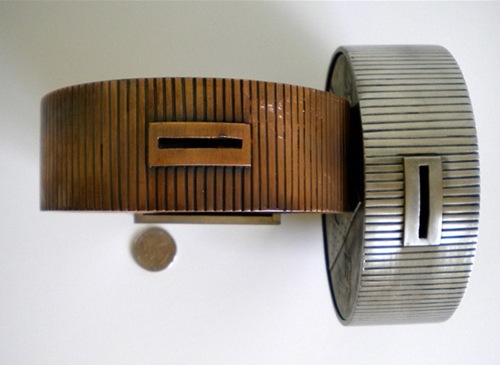 of 5, $235). 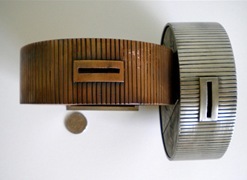 While they look nice in these pics, they are even more impressive in person both in terms of their size and the well-crafted design details. 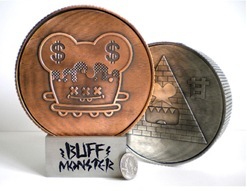 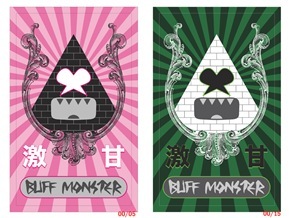 Befitting their status as art objects, the Buff Monster banks come with limited-edition bonus prints – pink for the Copper banks, and green for the Nickel ones. The banks drop this Thursday, May 21st @ 11 AM PDT from the Fully Visual online store.